The report, ‘The Health and Care of Older People in England 2017’ draws on new statistics as well as new Age UK analysis. It demonstrates the immense challenges facing older people who need care, the numbers of whom increase every day, and the impact of the failure to provide it on their health and wellbeing, as well as the NHS. There are now nearly 1.2 million people aged over 65 years who don’t receive the care and support they need with essential daily living activities. This represents one in eight older people in the entire population: a 17.9% increase on last year and a 48% increase since 2010. Worryingly, the report suggests that however tough things are now they threaten to get a lot worse over the next few years for a number of reasons which the report details. The social care crisis described in the report is also creating a significant burden for other forms of support. People are waiting longer to be discharged from hospital, putting more pressure on hospital resources and capacity and leading to increased spending. Waits for residential care have also increased. 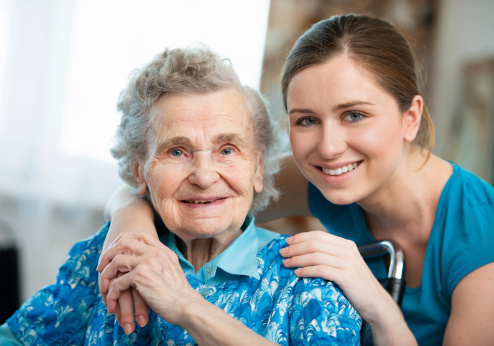 More people are also providing unpaid care for a loved one, especially older people themselves. People are also caring at greater levels of intensity than in the past and meeting increasingly complex needs. There are now over two million carers aged 65 and over, yet nearly two thirds of these carers have a health condition or disability themselves. Recognise the imminent danger which social care is now in and commit to an urgent injection of funds in the Spring Budget. Lead a process for developing a long term solution to the care crisis that incorporates the views of older and disabled people and all parts of the health and care sector.